As a Hilton Honors loyalty program member, you may want a credit card that helps you earn points — but don’t want to pay for that privilege. Your best option is the Hilton Honors American Express Card, with its $0 annual fee. The Hilton Honors program has more than 5,000 hotels under 14 brands — from the Waldorf Astoria to Hampton Inn — located in over 100 countries and territories. 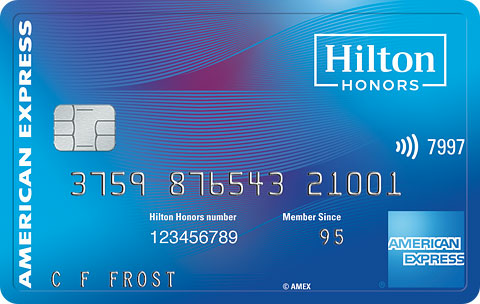 With the Hilton Honors American Express Card, you’ll earn the most points for hotel-related spending, along with higher points when using the card for restaurants, supermarkets and gas stations. Despite all this card has to offer, you may prefer to spread the wealth to hotel brands outside of the Honors program. Or you may want a card where you earn a simple flat rate for rewards, without worrying about different points categories. 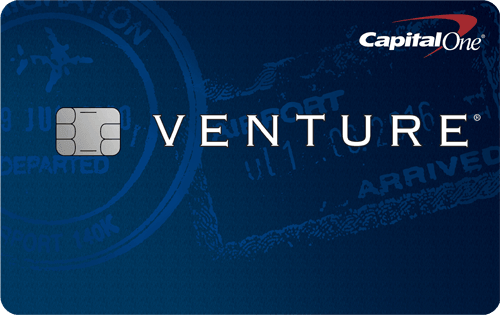 If that’s the case, the Capital One® VentureOne® Rewards Credit Card is a possible alternative. Solid welcome offer. Cardmembers earn 75,000 Hilton Honors Bonus Points with the Hilton Honors American Express Card after you use your new Card to make $1,000 in eligible purchase within the first 3 months of Card Membership.. You could, for example, use those points to book a two-night stay for 60,000 points at the DoubleTree Hotel in Santa Fe, N.M., March 22-24, 2019. Good rewards in popular categories. The Hilton Honors American Express Card allows cardholders to Earn 7X Hilton Honors Bonus Points for each dollar of eligible purchases charged directly with a hotel or resort within the Hilton Honors portfolio of brands. Earn 5X Hilton Honors Bonus Points for each dollar of eligible purchases at U.S. restaurants, U.S. supermarkets, and U.S. gas stations. Earn 3X Hilton Honors Bonus Points for all other eligible purchases on your Card. The points you earn for spending on dining, supermarkets, gas stations, along with everything else, are more than you’d earn with most travel-branded credit cards. Redemption variety. Use the Hilton Honors points on hotel rooms, car rentals, cruises, shopping, dining, gift cards, donations and experiences, such as a family getaway in Antwerp, Belgium. Swap points for air and rail travel. Transfer your Hilton Honors points and use them at more than 30 airline and rail partners. Silver status. Get silver Hilton Honors status with the Hilton Honors American Express Card. That gets you a 20% tier bonus points per hotel stay, a guaranteed member discount, no resort fees on reward stays, late checkout, fifth standard reward night free, two bottles of water daily and free breakfast. Solid benefits. The card comes with travel accident insurance, car rental loss and damage insurance, Global Assist, extended warranty, return and purchase protection and access to ticket presales and cardmember-only events. Payment flexibility. Pay off your balance every month or get some breathing room by using either the Pay It® or Plan It® feature. The Pay It® feature on the American Express app allows you to make small payments throughout the month on your balance. Under the Plan It® option, you can create up to 10 payment plans for purchases of $100 or more, but know that you’ll be charged a 17.99%-26.99% Variable APR on purchases. Status costs. If you want to go from Hilton Honors silver to gold status, you’ll need to spend $20,000 a year on the card to get it. So make sure the extra benefits that come with gold status are worth that amount of spending. Lousy points transfers. While it’s nice to transfer your Hilton Honors points to more than 40 airline and rail partners, it may not be worth it since the exchange rates to do it are so poor. For example, you’ll only get a measly 1,500 AAdvantage® miles on American Airlines for 10,000 Honors points. In order to get 15,000 miles on American, you would need to transfer 150,000 Honors points. That’s enough miles to get you a one-way, limited availability MileSAAver coach seat to the Caribbean, Mexico or Central America. Limited travel perks. It’s no surprise that this $0 annual fee card doesn’t come with a lot of benefits. It only comes with travel accident insurance and car rental loss and damage insurance. This $0 annual fee card should be considered as an alternative to the Hilton Honors American Express Card if you’re looking for a simple card with hotel perks. New cardmembers receive a One-time bonus of 20,000 miles once you spend $1,000 on purchases within 3 months of account opening, equal to $200 in travel. Those miles can be used as a statement credit or be applied toward travel purchases. 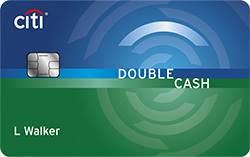 Cardmembers earn a simple 1.25 Miles per dollar on every purchase, every day. You can redeem those rewards for travel booked at CapitalOne.com or directly through any airline, hotel, rental cars and more, and then use the Purchase Eraser feature, which gives you an account credit for what you’ve spent. You can also book travel with your miles directly at capitalone.com or redeem them for a check, an account credit or gift cards. Plus, you earn 10 miles per $1 spent when you use the card to book rooms at hundreds of thousands of properties through Hotels.com/Venture. Your rewards don’t expire as long as your account remains open, and there’s no cap on rewards you can earn on purchases. Miles per dollar spent on this card are much lower than what you can earn with the Hilton Honors American Express Card, but you don’t have to keep up with rewards earned in different categories. 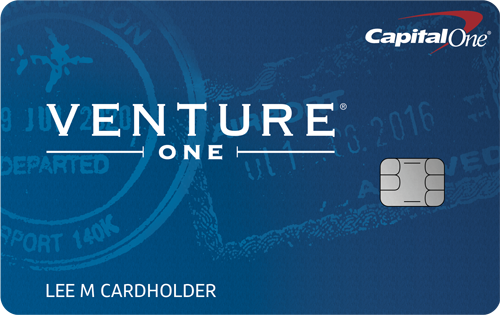 Check out our review of the Capital One® VentureOne® Rewards Credit Card. When it’s time to decide between these two cards, it all comes down to whether you want to boost your loyalty points with the Hilton Honors program with the Hilton Honors American Express Card or get more flexibility with the Capital One® VentureOne® Rewards Credit Card. Neither card offers robust travel and purchase perks, so consider what’s most important to you. Hilton Honors members may find a generous welcome offer, higher points per dollar spent in key categories, automatic silver status and some useful travel and purchase benefits make the Hilton Honors American Express Card an attractive proposition. Although the Capital One® VentureOne® Rewards Credit Card comes with a much smaller bonus and far fewer miles per dollars spent, you don’t have to remember spending categories and you earn the same rewards no matter what you buy with the card. Plus, you can earn top rewards on room stays if you book them at Hotels.com/Venture. Check out our roundup of best hotel credit cards here.